The goal of this project was to create a complete literacy curriculum to compete head-to-head with larger publishers in the highly competitive educational market. 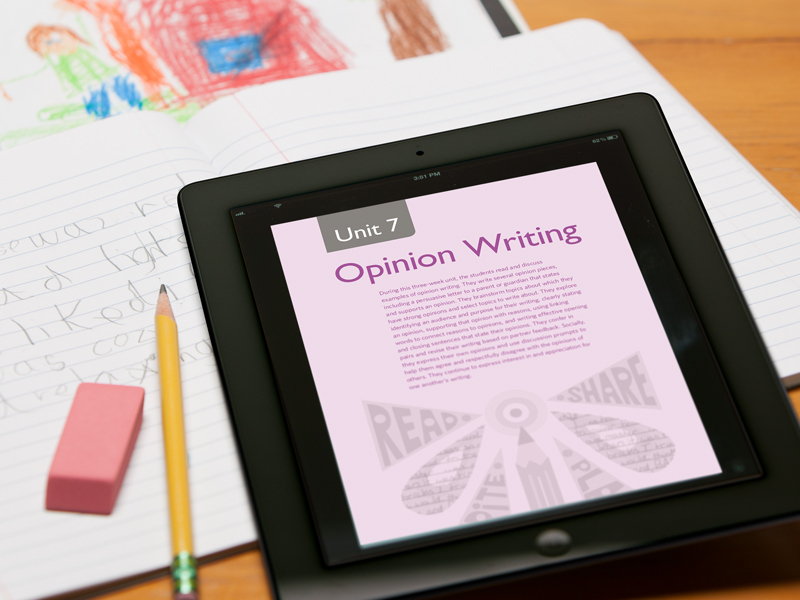 Previously Collaborative Classroom had focused primarily on publishing supplemental materials to use in tandem with, or to fill in the gaps of, competitors’ curricula. Integrating academic and social-emotional learning instruction, this product line is comprised of three programs: Being a Writer™ (writing), Making Meaning® (comprehension), and Being a Reader™ (early reading development). This massive project encompassed the design of all digital resources, as all as all print materials. See the accompanying Collaborative Literacy: Print Materials here. Learn more at about the organization and product at collaborativeclassroom.org/collaborative-literacy. 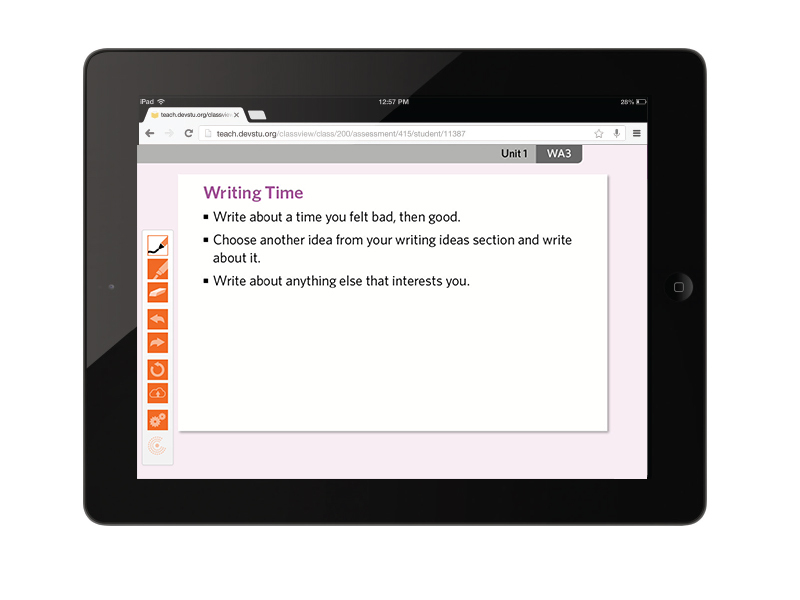 The Collaborative Literacy product line consists of three strands for grades K–6, which can be taught together or modularly. 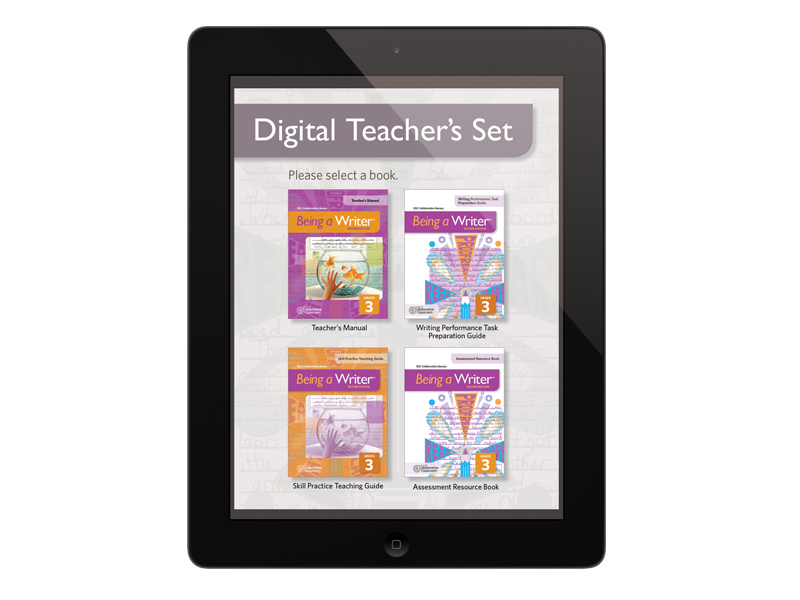 Digital resources include Digital Teacher’s Sets (ePUB of all manuals with embedded video and links), tech tutorials, how-to videos, web-based apps, whiteboard activities, and more. created a branded look and feel to bridge three modular products (two of which existed in previous editions) that can be taught together, or separately. continued the branding exercise across all print products including: teacher’s manuals, student books, ancillary materials, and packaging. managed all schedules and budgets around design and artwork created for the project. coordinated with the Learning Technology team to create and refine interface designs and wireframes. provided final assets to developers for product creation. 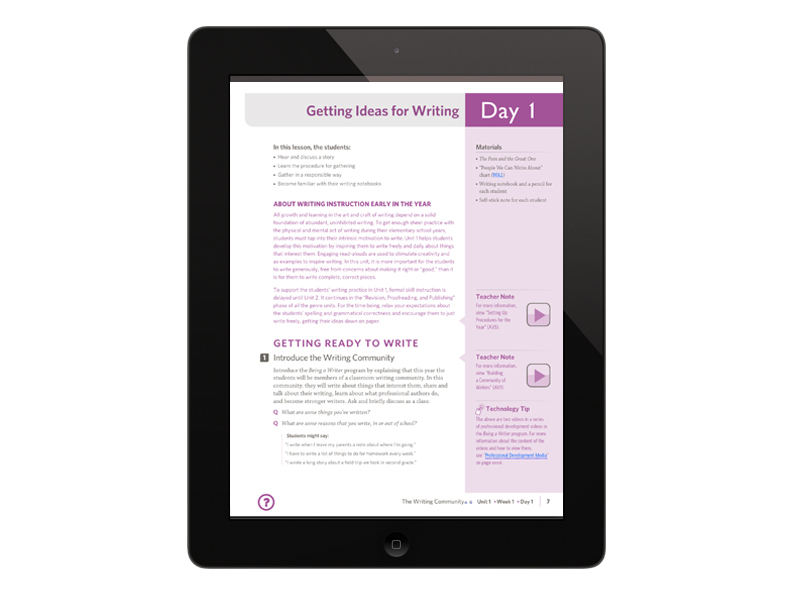 This Being a Writer example includes all the Teacher’s Manuals in one interactive set with direct access to professional development videos, the ClassView assessment app, whiteboard activities, and other digital tools for preparing for and teaching lessons. Check out the app here. 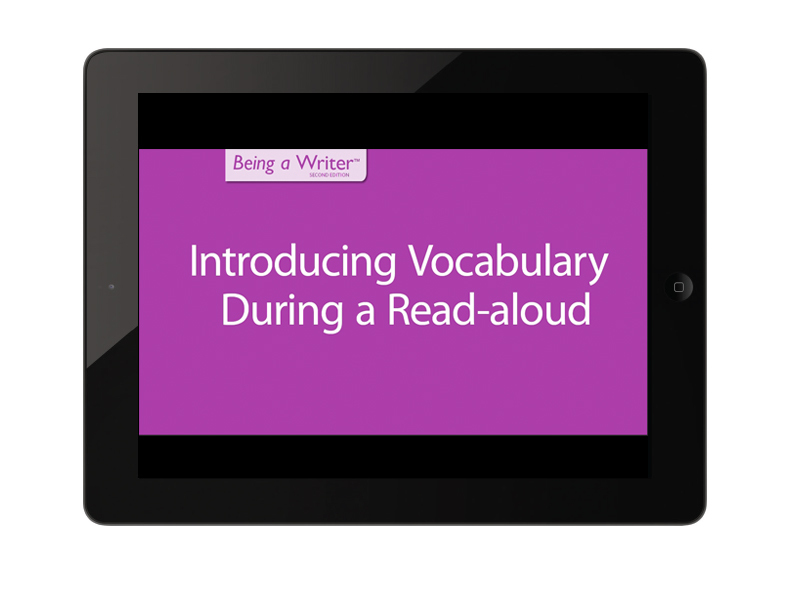 In order to give students anytime access to reading materials for Collaborative Literacy programs, we created a reader app, BookRoom! featuring barcode scanning functionality for uploading individual titles for the app. Check out BookRoom! here. These point-of-use videos help the teacher prepare lessons and include tips and explanations of how to teach successful lessons using Collaborative Classroom’s pedagogy and techniques. ‘Berta designed the video titles, openers, closers, bumps, and lower third graphics. 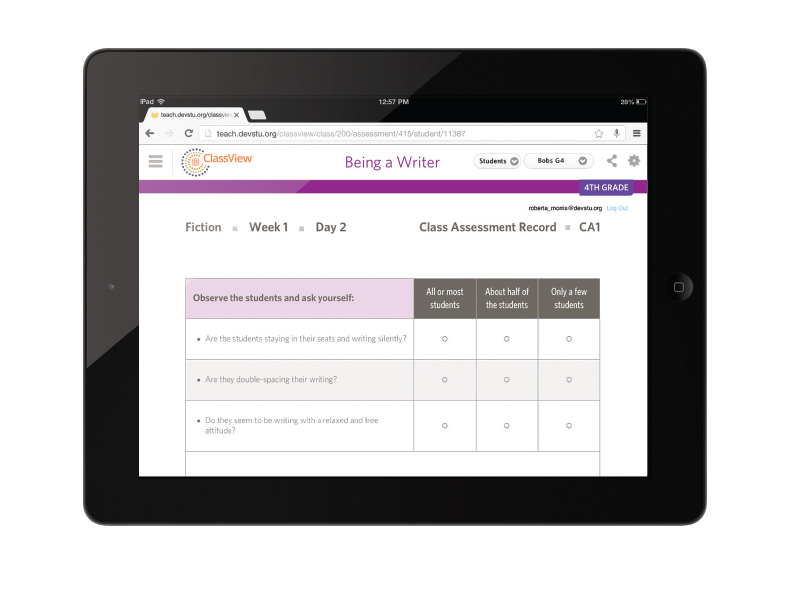 This web app allow teachers to assess student progress throughout the year, as well as create reports and share data with other colleagues. The whiteboard activities are used to reinforce lessons in the classroom through interactive exercises. ’Berta designed the look and feel of the activities screen as well as the toolbar icons. 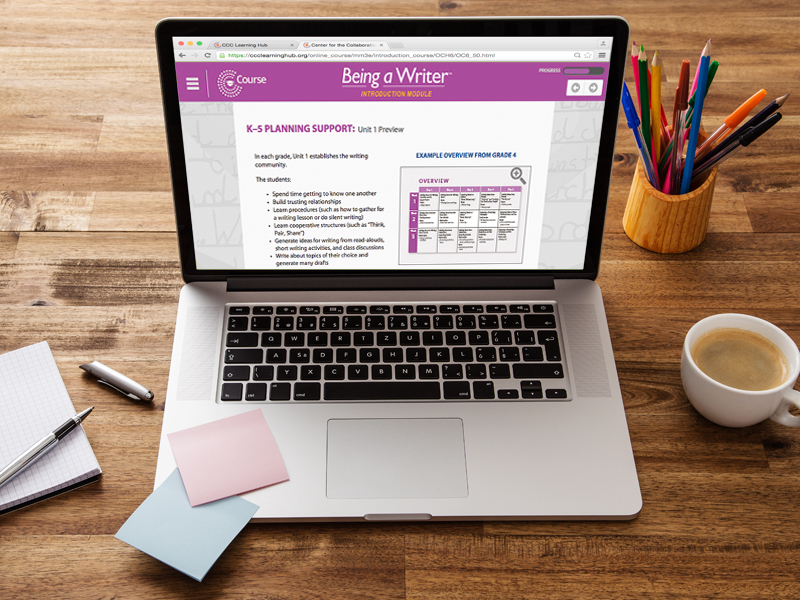 The online courses provided help teachers navigate their materials, set up lesson models, and provide facilitation tips and techniques—all while tracking and saving their progress. These courses give teachers additional support outside of more costly in-person staff development days. Including text, infographics, icons, video clips, and various downloadable resources, these courses are easy to navigate and are always accessible.